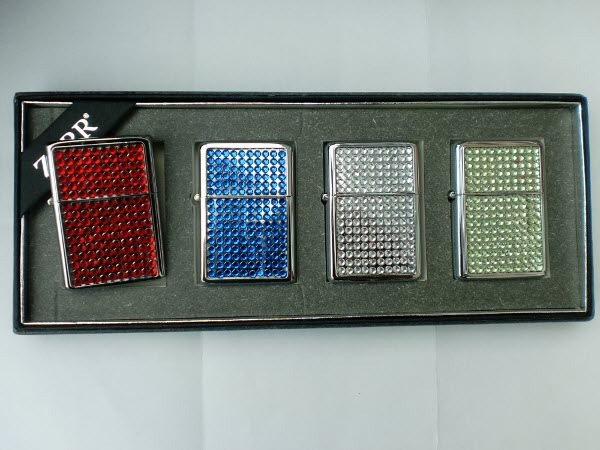 Engraved Zorr Diamante Lighter - available in 4 colours! The diamantes are on the front of the lighter and you can have your personalised text engraved on the reverse. The 4 colours available are Red, Blue, Green and Clear and it comes supplied in a black suede gift pouch.